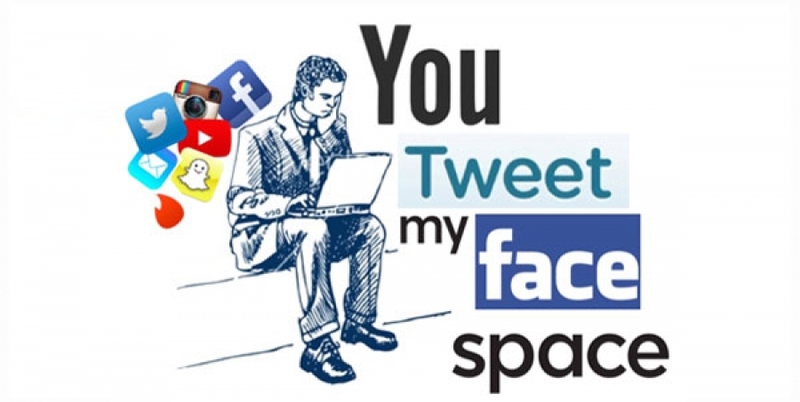 In my post last week, I mentioned that I was going to watch You Tweet My Face Space, part of the Camden Fringe, at The Hen & Chickens Theatre. It had a rather early showing - 6pm - and so, with work commitments throughout the week, was glad that my friends and I managed to book tickets for the Saturday show. I have it on good record that, unfortunately, ticket sales for Camden Fringe show haven't been doing so well, so it was brilliant to see that You Tweet My Face Space was a sell-out show on this particular evening. Growing up in digital culture, the plot was something I could easily relate to. The main character, Dave, had the misfortune of having a photo taken of him at the exact time a girl, who is not his girlfriend, kisses him. The next morning he wakes up to find that the photo has been plastered (and trending) all over social media. With so many updates being rolled out, I did ask Tom Hartwell (the writer and producer) if he had to keep updating the script. He said that surprising no and, interestingly, all facts and figures used about each platform were true. Tom is a man of many talents, having played the main character 'Dave', whilst his girlfriend 'Charlotte' was played by Megan King. The rest of the cast, all recent Mountview grads, individually portrayed a social media platform. I found it very clever when at the end it was revealed that his housemate was, in fact, the forgotten network 'MySpace'. Despite the frequent and precise references to each social media platform, this play is not just for digital natives. I overheard some of the older audience, who openly admitted that they weren't up-to-date with the vast number of social media sites, give very positive reviews. This was probably helped by the jokes being easy-to-understand - my favourite being 'YouTube' stopping half-way through a conversation to "buffer". I have to give a huge amount of credit to the actors who coped extremely well with the warm weather on Saturday. Particularly the character "Hotmail" (who definitely did look "hot", in all senses of the word, wearing his tweed three-piece suit). Essentially, the moral of the story was to "remove" yourself from social media. Reflecting upon my own social media consumption, this week I have made a conscious effort to reduce the number of times I look at my phone, check my personal apps or "stalk" people (sorry, I mean, "conduct intense research"). With my profession largely centred around digital media, I was unable to avoid it completly. Instead, as an alternative, I have chosen to "switch off" at specific times, like putting my phone on the other side of the room at night to avoid it waking me up. It's amazing how much of a positive impact it's had on my sleep (without any interruptions). I'm thrilled to see the play returns to the stage at Christmas time; these Mountview grads are definitely ones to watch.